Hello and welcome to Baby Carriers Australia! 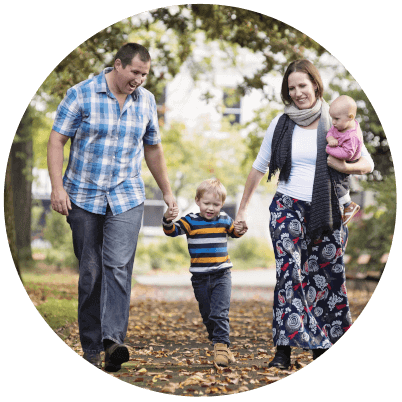 We are a family owned Australian business and we are committed to providing practical, safe and stylish baby carrying solutions to suit your families needs. The business was founded in 2014 by me, Kiley. I’m a budding entrepreneur having run a health food business in the past. In 2013 I became something else too, a mother. As those mums out there will know, it’s a transition no one can prepare you for. The first year was definitely life-changing and full of lessons to say the least. Then along came Sammy two and a half years later. The biggest lesson? Babies love to be close to their parents AT ALL TIMES. I found it a challenge to simply do the vacuuming which led me to the practical, rewarding world of baby wearing. I scoured every baby store looking for high-quality baby wearing solutions that suited every situation and I found most stores had one or two options but definitely not the range I would like to choose from. Well, the rest is history. Baby Carriers Australia was born. We guarantee each and every one of the products we stock are useful to mothers with newborns, crawly babies and active toddlers. We are very selective with the brands we choose to stock. All the brands we stock have been tried and tested. We are approved stockist for Boba, Chekoh, Beco, Manduca, Tula, Babybjorn, Love To Dream, Piggyback Rider®, Beachfront Baby, Moby, ByKay, Frog Orange Hug-a-Bub®, Hippychick, Love To Dream, Skip Hop and many more. We are passionate about providing for the needs of babies and parents and see it as our duty to provide you with the best online shopping experience. We look forward to packing your order with care and sending it off with love.